With the pressure on funding especially for children with complex needs, local authorities and schools have not been buying in the assessment service and have reduced and removed specialist teaching for those with SpLD. The removal of School Action and School Action Plus and the emphasis on EHCPs, has contributed to this. There has been little evidence of funding directed towards equipment, assistive technology or training for this to encourage independent learning. Parents In Need believes that vast amounts of funding for SEND is being tragically wasted on taking parents to tribunal when, if budgets were spent on appropriate assessments early on and then throughout the child’s educational career, we would see far more children with SEND thrive in the appropriate placement with the right provision. The Government needs to ensure that local authorities have the funding required to meet their obligations under the Children and Families Act 2014. We believe that a lack of resources is not a sufficient reason for local authorities to fail children. Uncertainty about the responsibility for funding and provision of specialist seating and equipment in schools/settings means that some young people with SEND, experience unacceptable delays in receiving the equipment they need to enable their performance and reduce the risk of long term health complications. This is a particular problem for children in early year’s settings when the local authority will not fund specialist equipment and small organisations are unable to afford specialist equipment. Our Local Authority is not a well-funded Local Authority so schools will usually commit their budget, including delegated SEND funding, to basic provision. The real terms cuts to education funding since April 2015 have had significant impact on the education of pupils with high needs, meaning that funding has to be stretched much further. The variation in funding between LAs is inequitable and indefensible. There is no justifiable reason for per pupil funding in the High Needs Block to vary so much, it has been acknowledged that some LAs have a lot less resource but the expectations are the same. Nottinghamshire County Council remains extremely concerned about the lack of funding for SEND education provision through its allocation of High Needs Block (HNB) Funding. Until recently I worked as a Specialist teaching assistant in a mainstream primary school. My contract was attached to a child’s high needs funding. I was recently notified that as I was employed on a higher level rate I would have to accept a new contract come the new school year, this involved a vastly reduced salary for less comparable hours. I was told that this is because our area no longer had the high needs funds to be able to pay my previous salary. This action has now resulted in some very experienced and knowledgeable staff leaving support roles to pursue other careers and vulnerable children being left with less than preferable provision for their needs. General TA’s with very little SEN experience are then often placed with children. We are not privvy to Local Authority and schools' funding arrangements but we do know that one of the reason our daughter is not offered adequate support to help her reach 'best possible educational and other outcomes' (Child and Family Act, 2014) is because of funding issues at her school. In fact, in the most recent meeting, a significant request for support was turned down because of funding issues. The greatest factor in limiting the effectiveness of assessment and support for CYP with SEND is the reducing budget within schools. This impacts time, resources and training of staff. This all limits the effectiveness of support schools can offer. The complication in Bristol is that Higher Needs funding is not currently assessed in connection with EHCPs. As a result some schools can be in a position where they have a statutory obligation to provide a high level of support for a child without receiving any additional funding above the £10000 allocated to all SEN children. Funding for SEND provision in Bristol has reduced significantly in recent years. As a result schools are receiving a fraction of the actual costs they are spending. Many children who need additional funding to enable increased support do not receive it due to the complicated and time-consuming process of applying for the funding. The costs spent on the application process in terms of SENCO time and local authority time are disproportionate to the funding schools receive. Additionally funding is only given after schools have put the support in place and it is not back-dated. Further if funding is applied for in May, it does not begin until September; if it is applied for in November, it does not begin until January. Where funding has been reduced to all sectors, an increasing responsibility of care has fallen to schools who are now doing roles previously held by social care. Kent Special Educational Needs Trust (KsENT) partners and members are increasingly concerned about the lack of clinical school nursing provision on-site within Kent special schools, particularly those schools designated to admit pupils with Profound, Severe and Complex Needs (PSCN). The current situation appears to be a postcode lottery, where some schools have NHS funded clinical nursing on-site, and others with similar cohorts having no on-site support. In the past year, this situation has worsened with several schools having clinical and non-clinical nursing support withdrawn, often with very little notice. Commissioning Groups (CCGs) are struggling to provide adequate, or in many cases even the most basic, support for pupils with high care needs citing cuts to their service, funding issues or lack of resources. 5. The project of transition has been under resourced, leading to delays in issuing EHCPs, and to much of the content of individual EHCPs being ‘cut and pasted’ from statements of special educational need. If professionals and families are struggling in a similar way, why is there such anguish and conflict between the different parties? 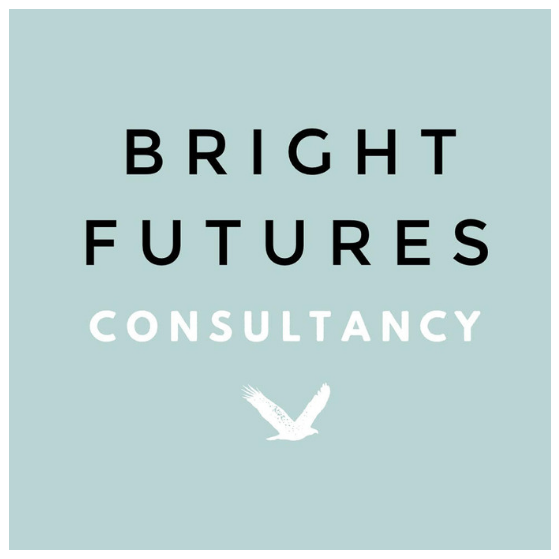 Find out more about Bright Futures here.